These December pay per views can be weird. Some years they give us amazing stuff, other years they just…exist. They’re the obligatory stop between Survivor Series and the Royal Rumble. 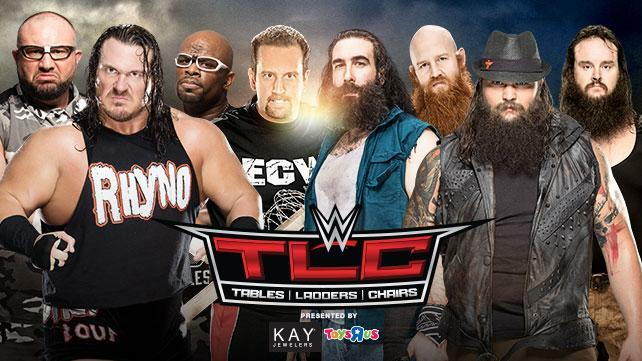 And I can honestly say this show is as blase as any TLC pay per view I’ve ever seen. WWE has indeed put together the best card they can considering the creative choices they made last month at Survivor Series, but that’s not saying much. The sad thing is, there’s very little to be excited about on Raw or Smackdown these days. 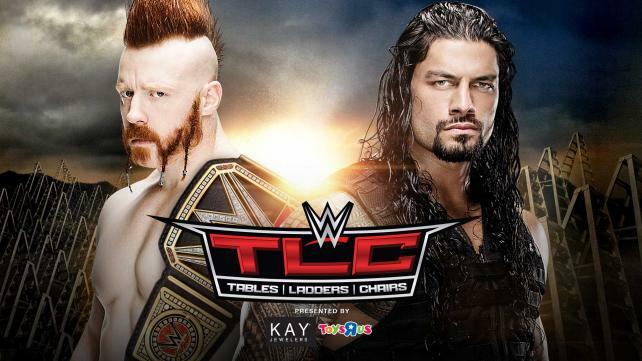 Sheamus is fighting an uphill battle to get over as a heel champion. 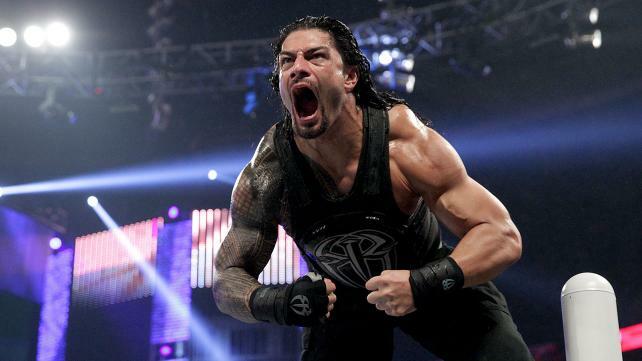 Roman Reigns is fighting uphill to get over as the top babyface. Dean Ambrose has been cast as a supporting player. Seth Rollins, Cesaro, and Randy Orton are all out with injuries. Brock Lesnar and Paul Heyman aren’t there right now. The only thing we really have to look forward to in the near future is the return of John Cena. And to a lot of fans that’s an even worse prospect than Reigns being shoved down their throats. Nevertheless, they’re doing a show. There’s not much to invest in, and there are only a precious few things that feel special. But yeah…here’s a pay per view, I guess. Ugh. What year is this? Yeah, I get it. 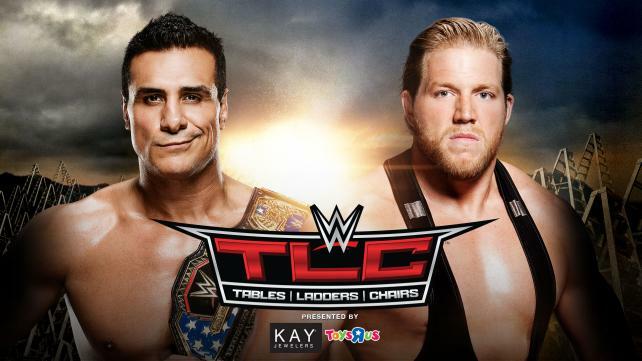 Swagger used to be with Zeb Colter, so now he and Del Rio have to fight. But dear God, put them at the top of an hour on Raw or something. It couldn’t be worse than what we’ve been getting on TV lately. Is there even any doubt about who wins this one? Del Rio retains, then Swagger goes back to Superstars, or wherever he’s been since the Real Americans broke up. So the idea here is that Charlotte is picking up some of her father’s “Dirtiest Player in the Game” tendencies, which should lead to a Charlotte heel turn. I like that idea. Charlotte’s a good person to hold that Divas Title right now, and of course she’s an awesome athlete. But it might be interesting to see her cut loose and be a little more creative as a villain. I suspect Ric will help her pull of some sort of screwjob finish and pick up the win. I can only assume continued cheating will put her in Becky Lynch’s path, which will be a good thing. Gee, you know when a good time to do an eight-man elimination match would have been? Survivor Series. Fail, WWE. Big fail. The Wyatts need to win this one. Bray spent much of the year losing to Roman Reigns, and then Bray and Luke Harper lost a big match to The Undertaker and Kane last month. They need to win something to prove they’re still a threat. I like the dynamic the Wyatts have with the Dudleys, though. I wouldn’t be opposed to seeing them keep the program going with Harper and Rowan going forward. Those two should really be The Wyatt Family’s contribution to the tag team division, with Bray being the singles star and Strowman being the bodyguard. The Dudleys can beat Harper and Rowan if they must. But on this night, the Wyatts, Bray in particular, need to win. 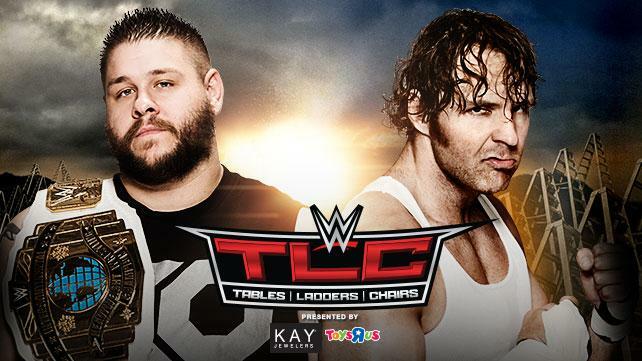 This match obviously in line with the tradition of tag team ladder matches. 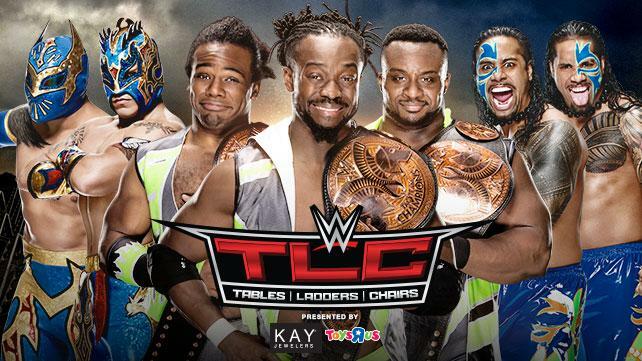 I expect we’ll see at least one big Kofi Kingston spot in here, as well as a big Kalisto spot. Frankly, I’d like to see The Lucha Dragons win this one. But The New Day are on such a roll lately that I don’t see a good reason for them to lose here. They’re practically the only consistently entertaining element on Raw these days, and it seems like WWE knows that. They’re pretty much babyfaces at this point anyway. So if WWE wants to take the titles off of them, they’d might be better off losing them to Luke Harper & Erick Rowan. Or even a throw-together team of Wade Barret & Rusev to get this League of Nations some more heat. 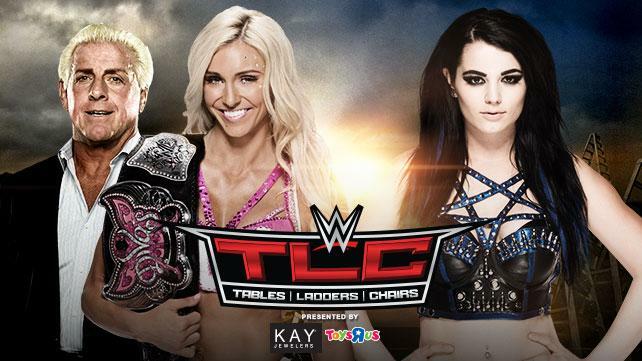 But I don’t see much benefit in them losing the belts at TLC. These guys are a big breath of fresh air. This is the most interesting match on the show, for my money. And ironically, it doesn’t even have any stipulations or weapons in it. I don’t see any reason for them to put the title on Ambrose at this point. I don’t doubt he’d be fine with it, but he doesn’t stand to benefit much from it. I’d also argue Kevin Owens is a pretty pretty credible heel right now, which WWE desperately needs. It’s to the point where there were rumblings of him going against Brock Lesnar at Wrestlemania. So it’s not necessarily in their best interest to get the belt off of him here. I’m holding out hope that Owens get to defend that title against Sami Zayn at some point. There’s a built-in match they can cash in on at any point. So we’ve got a champion that the audience isn’t really invested in, against a challenger they’re being force-fed. What’s more, WWE had Reigns put Sheamus through a table this week on Raw, so a lot of the bloom is already off this rose. Still, I suppose the upside is we don’t know who the winner will be here. WWE could easily just switch the belt to Reigns at this point. But my gut tells me they’ll keep it on Sheamus, at least for the time being. As they aren’t booked elsewhere on the show, I imagine we’ll see Wade Barrett and Rusev in this match, and probably Del Rio as well. This will likely lead to Ambrose and the Usos coming out, with chaos to follow. I’m hopeful that the match will at least be entertaining, even if the story isn’t. This entry was posted in Wrestling and tagged Alberto Del Rio, Big E., Braun Strowman, Bray Wyatt, Bubba Ray Dudley, Charlotte Flair, D-Von Dudley, Dean Ambrose, ECW, Erick Rowan, Jack Swagger, Kalisto, Kevin Owens, Kofi Kingston, League of Nations (WWE), Luke Harper, Paige, pro wrestling, professional wrestling, Rhyno, Ric Flair, Rob Siebert, Roman Reigns, Rusev, Sheamus, Sin Cara, The Dudley Boyz, The Lucha Dragons, The New Day, The Usos, The Wyatt Family, Tommy Dreamer, Wade Barrett, WWE, WWE TLC, WWE TLC 2015, Xavier Woods, Zeb Colter on 12/09/2015 by primaryignition.